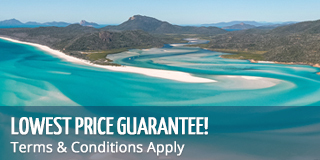 Whitsunday Bullet Private Charter offers you a chance to explore the amazing natural beauty of the Whitsundays during your own personalised tour. Bullet can take up to 40 passengers at a time, and departs every day of the week, allowing for larger groups to explore the Whitsundays together at any time! 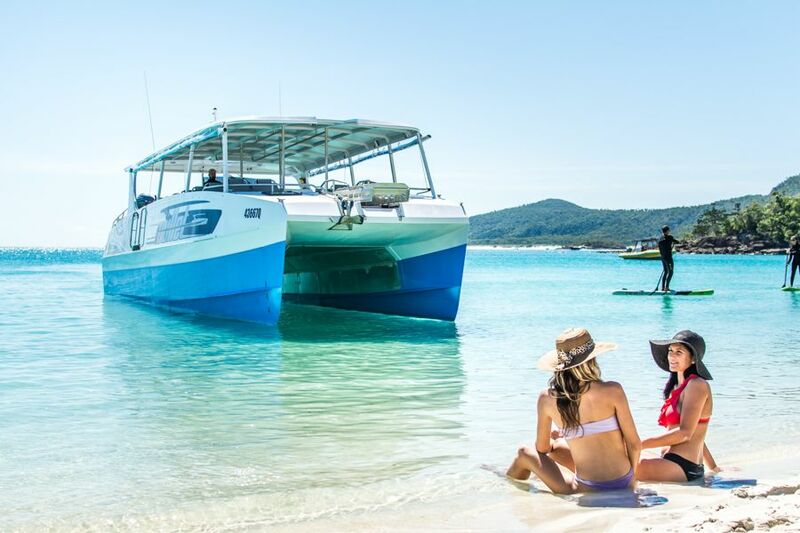 Bullet offers more than any other day tour with fast cruising, snorkelling, a buffet lunch, a visit to Whitehaven Beach, a stop at Hill Inlet Lookout and the use of stand-up paddleboards. Take along your family, friends, or colleagues for the ultimate day of exploring all the Whitsundays has to offer. The Whitsundays has amazingly colourful reefs surrounding its many islands that provide the perfect place for snorkelling and exploring. Hop in with your family and friends and take a look at the all the cool creatures of the sea that are waiting for you! Enjoy exploring the different parts of the reef, spotting new species of fish and searching for turtles, rays, clownfish or some of the other thousands of species that live here in the Whitsundays! Ask your crew for advice on where to find even the most elusive of reef-dwellers and see who can spot the most marine life! This is your day - make the most of it! Whitehaven Beach has been voted as one of the best beaches in Australia and with good reason! It has 7km of soft silica sands where you can explore and relax with the rest of your private charter, having fun in the sand or exploring its shores. The sands are made of 98% silica, making them some of the softest in the world and some of the best for beach games, suntanning or grabbing some great photos with you friends! The amazing backdrop of blue water and tropical islands is unforgettable and breathtakingly picturesque and probably one of the best places in the country for grabbing an iconic Aussie photo on a tropical beach. Your crew will guide you up to Hill Inlet Lookout for unbeatable views of Hill Inlet and Whitehaven Beach below. After a short bushwalk up to the lookout point through the wilds of Whitsunday Island, you will see for yourself what all the fuss is about. This view really has to be witnessed first hand to be believed, as it is impossibly beautiful and amazingly unique. Rain or shine, the swirling sands of Hill Inlet are always stunning, ever changing, making for a once-in-a-lifetime experience every time. There are several lookout points that make Hill Inlet one of the best places for snapping some amazing photos with your group or for taking a moment or two an amazing view in the Whitsundays. Whitsunday Bullet is the only day trip that offers stand-up paddleboarding. You can try this fun new sport with your family or friends, or go for a solo ride around the reefs! Enjoy the views as you paddle around or simply have a laugh as you try to keep your balance on this easily learned but sometimes tricky watersport. Whitsunday Bullet Private Charter is by far one the best ways to enjoy the Whitsundays with your own selected group of people. The fast, stable catamaran cuts down on travel time, provides an equally comfortable yet thrilling ride and visits all of the top Whitsundays destinations. This could be your chance for one of the most exciting day tours you will ever take, right in the heart of the Whitsundays. Book your private charter today for an exclusive and personalised experience in one of the most stunning places in Australia. Tours book up fast, so planning in advance is key to securing your thrilling day on board Whitsunday Bullet. Ask us about your private charter today! Call us at 1800 550 751 or (07) 4914 2425 if local, or simply chat us in the chat window! Please note, at time of booking we require a deposit to secure your charter, with the remaining balance due 2 months prior. Your deposit is non-refundable.